Firstly, a building site is a dangerous place and as far as is possible, it is prudent to limit access to prevent personal injury claims. Under British law you are not able to contract out of personal injury or death, hence a site that is secure will represent a lower potential risk to you and the contract. Secondly, there will be a number of materials stored on site, but which are not fixed to the existing structure because of works sequencing. It is therefore important to make sure that they are secure to avoid theft losses from the premises. Under British law you are not able to contract out of personal injury or death, hence a site that is secure will represent a lower potential risk to you and the contract. Urban and rural-based contracts have different challenges in this regard and it is likely that the contractor you chose, if they are local, will be aware of the security measures which need to be put in place to make sure that materials are safeguarded. 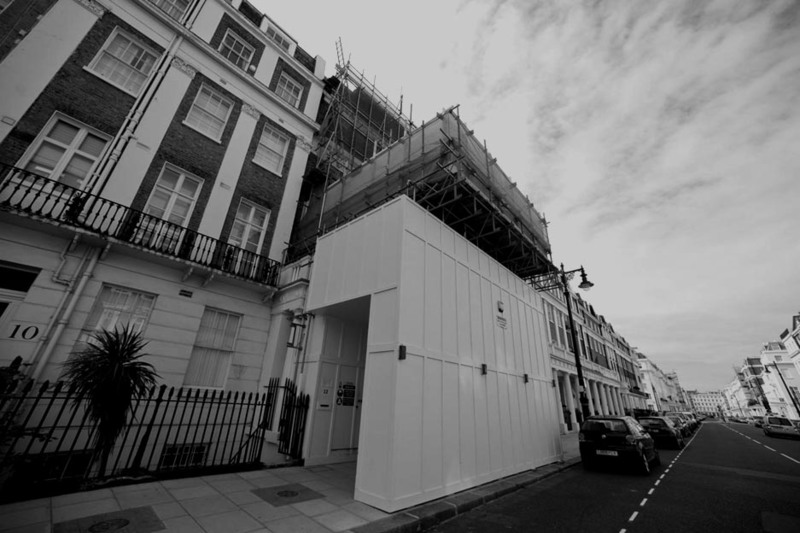 In most urban projects, the front of the site has a hoarding erected in front of it which provides for restricted access to the premises by authorised persons only. This hoarding will normally carry signage which warns people entering the site of the possible dangers. In this way, your contractor is less likely to have to make sure that the premises are boarded up and secured at the end of each day because the access itself is usually at the front boundary rather than at the front door of the property. Most materials in urban projects are delivered on an as-required basis. But in the event of a retained supply they are usually stored inside the building itself or behind the hoarding. Most rural projects, by their very nature, are less exposed to unauthorised entry and theft. However, this does not mean that the site should not be secured adequately. Quite often, where sufficient garden space permits, secure containers can be brought to site to store tools and materials overnight and weekends. To restrict access to a rural site can be more difficult but is usually accomplished by the installation of heras fencing with the appropriate signage.